'Murraydale Park Cinnamon'. Exceptionally well bred with a calm, sensible temperament, $6000. View at Bendigo or Mildura. Pure Welsh B Buckskin Mare 13.3h 10yr. Ph 0403694431. Video available on youtube. View at Bendigo or Mildura. Reg. National Buckskin Society Reg. Welsh Pony & Cob Society Excellent to C.S.F and ride. 'Cinnamon' is a wonderful allrounder. She's been to riding clubs, shows & done hours of trail riding on her own or in company. Quiet, sensible & loves to be part of the family. Great around dogs, kids, bikes and machinery. 100% sound and healthy. Teeth are up to date & full dental report provided. 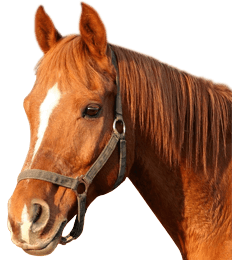 'Cinnamon" has never foundered and she has been well loved and cared for all her life. Currently assessd Level 3 HRCAV, "Cinnamon" will complete a lovely Prelim. dressage test or trail ride down the main street of a country town or beside the river. $6000. Experienced horsey home only. 0403694431. View at Bendigo or Mildura.